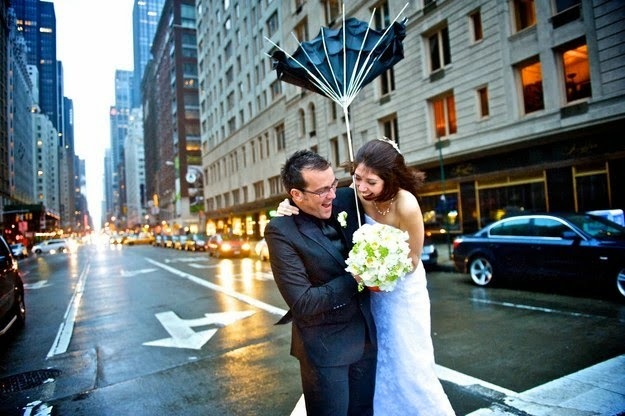 April Showers Bring May Flowers: What to do if it rains on your big day! With both of us being Arizona natives we love when it rains in the dessert! The past couple days of rain have been so relieving right before the summer heat sets in. 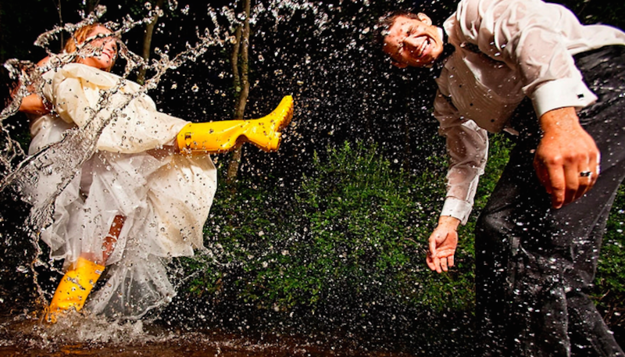 But, raining on your wedding day sometimes does not seem to be so fun or relieving and can cause a lot of stress. Instead of freaking out, take it as a sign of good luck and use these wedding tips to help make your day even more memorable and special. This seems obvious but it is always best to have a backup plan. At every venue you visit ask what their rain back up options are. 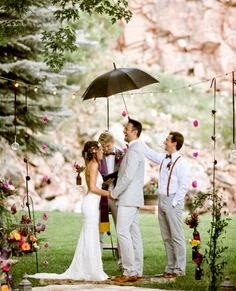 If you are getting married at a private estate or out in the wilderness, then ensure you or your planners are checking the weather as your wedding gets closer, and contacting rental companies for tent backup options. 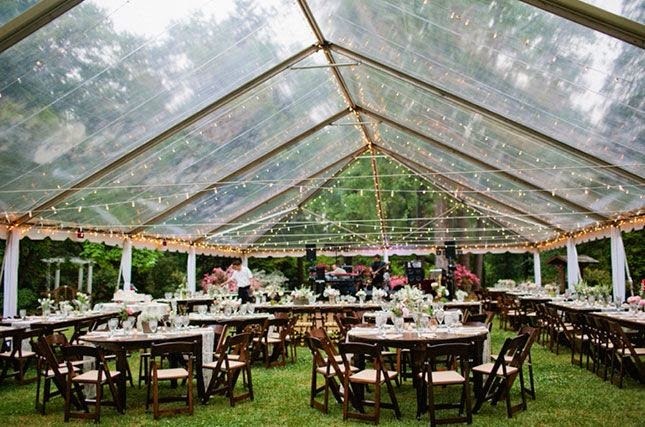 We love the untraditional tent seen above where guest can look up at the rain and stairs while they dine and dance the night away! 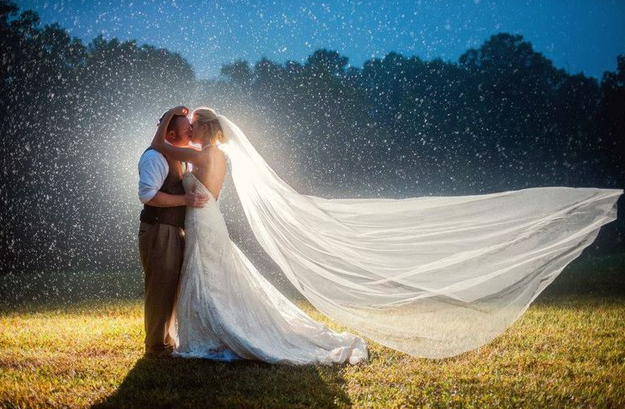 If a torrential downpour is scheduled right at your ceremony time it is ok to push it back. Your guest would prefer not to sit through the storm, but wait inside or under the tent until it breaks. 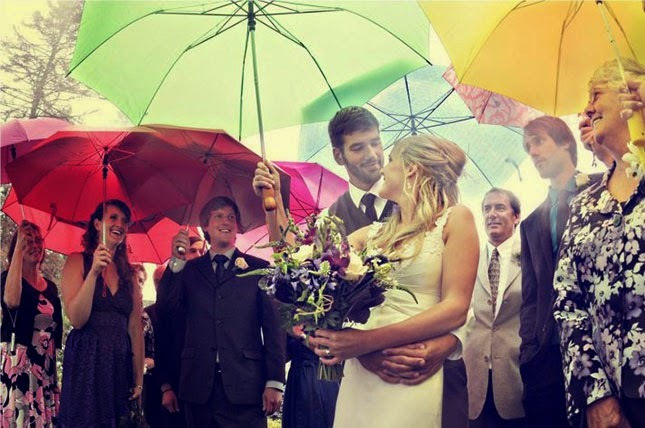 Most ceremonies last around a half hour, and in our experience, that is enough time to send the bride down the aisle to get married to the man of her dreams before it rains again. These can be bought at various on line stores and Etsy shops in every style and color! Have these sitting in a cute basket as guest arrive to pick up to use for the ceremony. 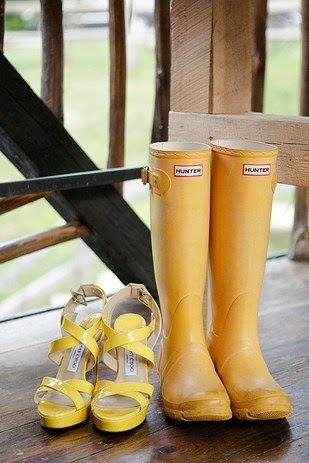 These are also perfect for summer weddings that may be very hot and sunny. 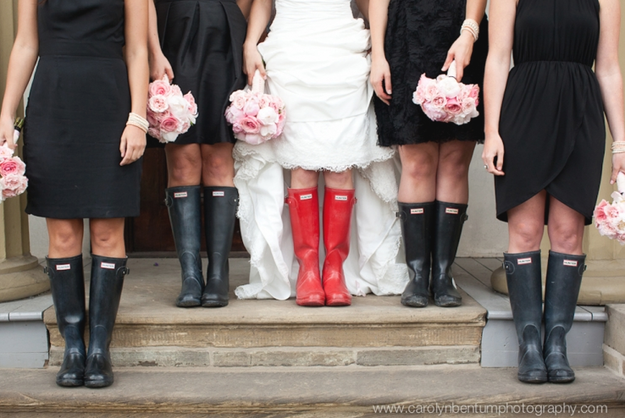 Can it get any cuter then you and your bridesmaids in rain boots? We know it may not have been your initial thought, but turns out so cute and is something different that you and your guest will remember. 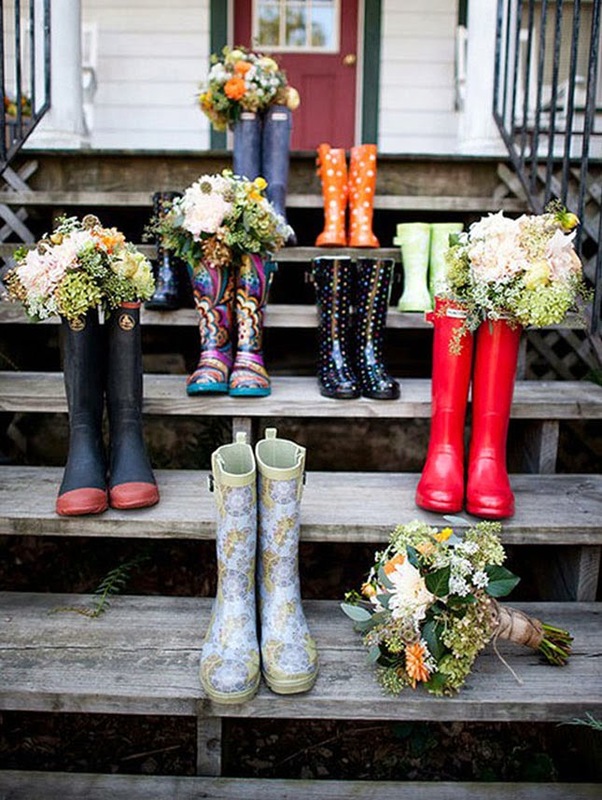 Have a back up plan, bring the shoes you originally wanted to wear and a backup pair of rain boots! 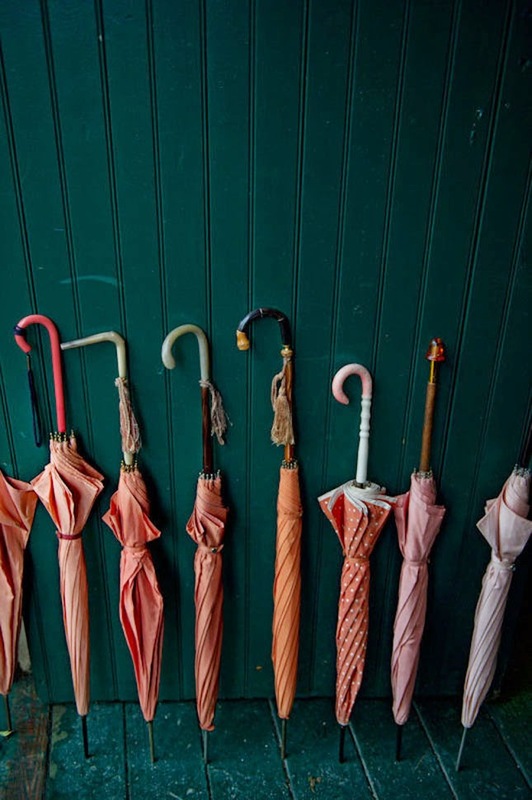 Some of the most gorgeous photos are taken during a rainy day! 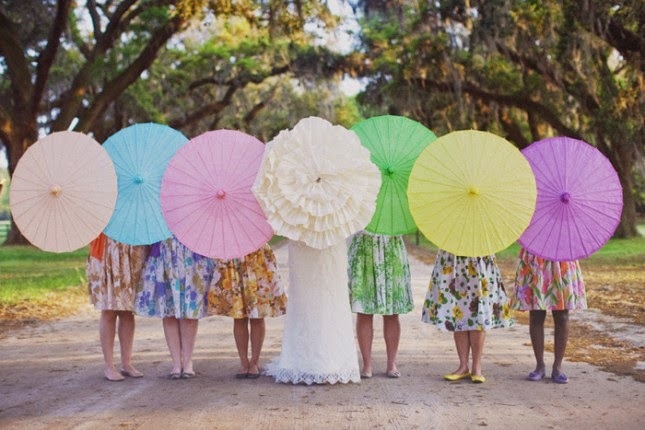 Have fun and splash it up, be bold and get drenched, or get creative with your guest to show off the colorful umbrellas. 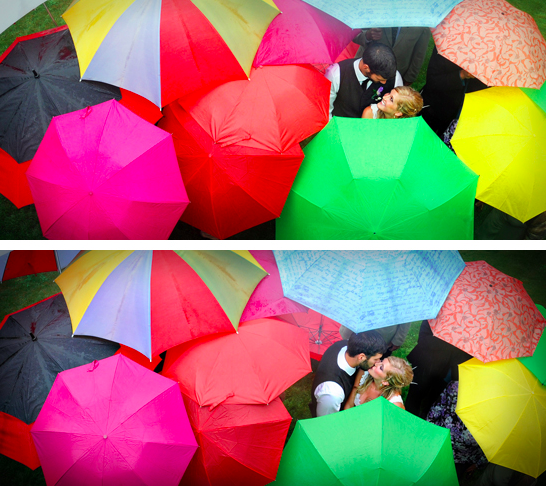 These pictures just show that no matter what comes your way, to just go with it and have fun, it is your wedding day! Remember, at the end of the day you are marrying the person of your dreams! 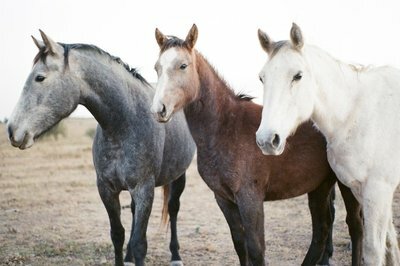 So smile, make a face, let it roll off your back and enjoy your day! !